The Corru-Kraft OTS is a system that allows customers to seamlessly integrate their purchasing system with Corru-Kraft's order entry system. Corru-Kraft's OTS enables Corru-Kraft customers to easily submit orders without the need for double-entry, faxes or phone calls. This can save valuable time, especially on those hectic days. Corru-Kraft's OTS is easy to install. The software converts orders from the customer's native database into the special formats required by Corru-Kraft's OTS client software. This task is supported by popular corrugated software suppliers. 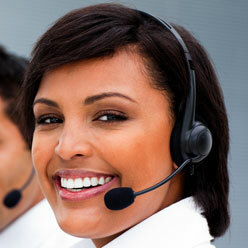 Corru-Kraft Consulting Service can offer assistance in bringing customers on-line with Corru-Kraft's OTS. Technical literature is available for use by your in-house technical professionals to assist in the use and integration of the Corru-Kraft OTS client software and in the creation of the appropriate file format (if not already available). The Corru-Kraft OTS client software transmits orders to Corru-Kraft using FTP server connection.